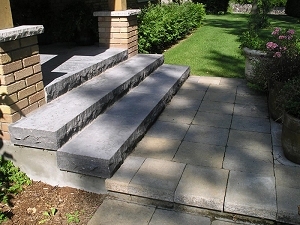 Adding a natural stone finish to an existing cement slab will instantly transform it from something dreary and commercial looking to something elegant and substantial. 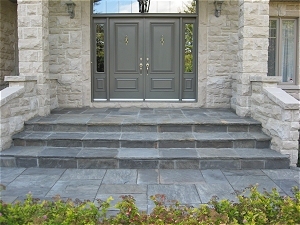 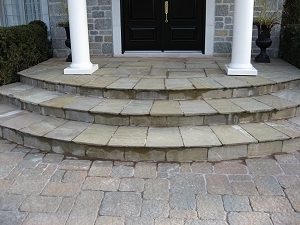 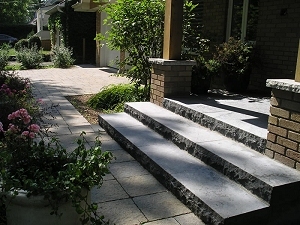 In the case of front steps and entranceways, it is possible to take advantage of an existing structure and add a great deal of curb appeal to a home without much trouble. 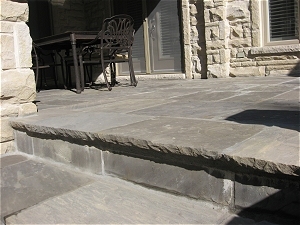 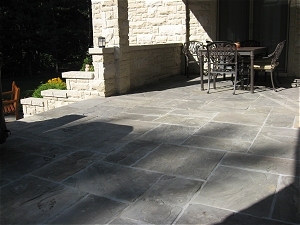 Of course, natural stone overlays are also excellent in the backyard, where they bring instant warmth and intimacy to existing concrete decks and porches.